If you’re a diehard Evernote user, take note (hehe – see what I did there). Evernote has announced some changes to their pricing structure that will definitely affect Basic users. If you’ve been using Evernote for years (like me), then you may have received a notice stating that your account will be impacted by the upcoming changes. It’s no secret that Evernote needs to make money so these changes are not that surprising. As part of those changes, you may have received a notice from Evernote stating your account was currently out of alignment. If you don’t make changes you’ll be automatically upgraded to a paid subscription. Evernote has given us 30 days to get our accounts in alignment with the new account structure. As a Basic subscriber, you can have the Evernote App installed on just 2 devices. You can find out which devices are associated with your account by going to the “Devices” tab within the Account Settings page. Unfortunately, I didn’t take a screenshot of the “devices” page before I started revoking access. It turns out all of my old devices still had access to my Evernote Account. 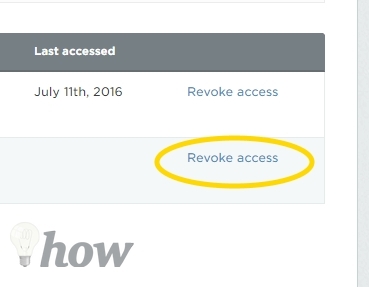 Revoking Access is a simple as clicking or tapping on the Revoke Access link. I never even considered going back and removing old devices from my Evernote account. So while I was in there, I looked around for anything else that might be lingering. Turns out a couple of services I no longer use still had access to Evernote as well. 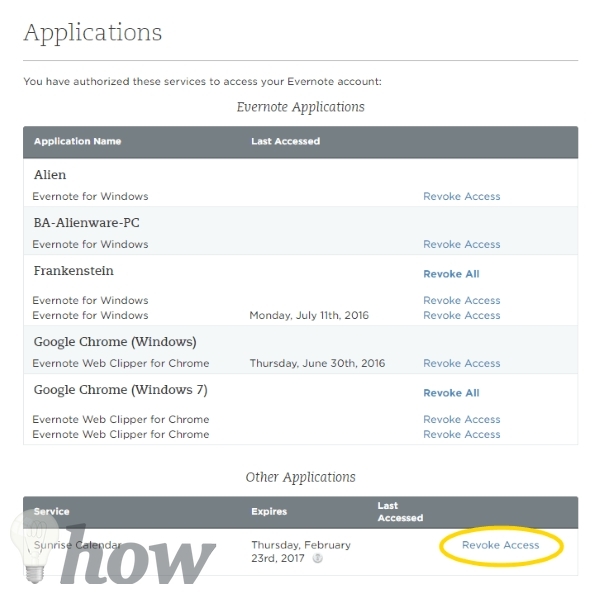 You can see which Apps or Services you’ve approved for Evernote access on the “Applications” page within Account Settings. Caption – Sunrise Calendar doesn’t even exist anymore. It was purchased by Microsoft to be integrated into the Outlook mobile app. 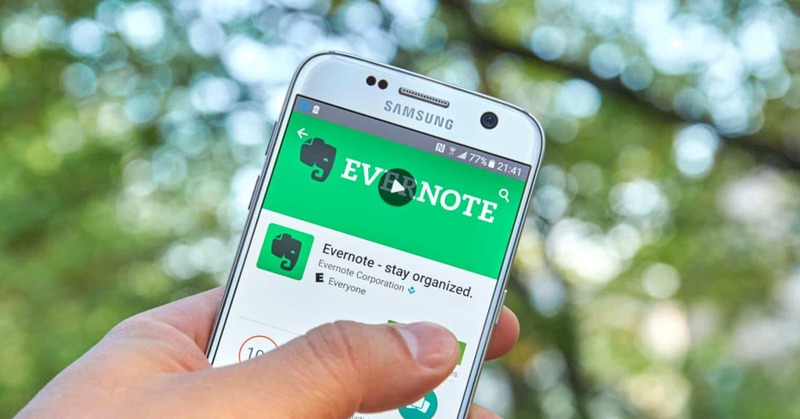 Evernote will allow Basic users to access their Notes and Notebooks using the Website. But, if you do not want to pay for an upgraded plan, then you can only sync 2 devices to your Evernote Account. You should take a hard look to see how you use Evernote. I for one use it mostly on my desktop. All my posts are written in Evernote. I didn’t think I used it on my Android Smartphone very much so I uninstalled the App and revoked access using the Devices tab. Do you remember when we showed you how to easily send a note to Evernote from your smartphone. Unfortunately, if you uninstall Evernote from your smartphone, you can no longer “share to” Evernote. So even though I don’t create full-fledged articles on my phone, I use the Share To Evernote option quite a bit. That’s not a problem, I’ll just use the Email To Evernote option. Oh wait, remember, we told you before that, as a Basic user, you can only send 2 emails to your Evernote account and then that feature is turned off until you opt-in for a paid account. So you can’t use that option on your smartphone for on-the-go notes either. So what’s it gonna be for you? How do you currently use Evernote? Which 2 devices will you sync with your account? Or will you opt for the paid plan? At first glance it didn’t look like these changes would affect us, Basic users, that much. But limiting the number of devices you can actually sync to your account completely removes the “share to” option. Depending on how much you rely on Evernote when you’re away from your primary device – this could be a pain. Evernote isn’t the only note taking/archiving/management system/service available. There’s bound to be something you can transition too. Right? Here are some Pros and Cons for possible replacements. Supports checkboxes for to-do lists. Does not support rich text formats – so no bold, italics, or strike-through of text. No bullet points or organized lists. No stacking or hierarchy of labels – not a great substitute for notebooks and notebook stacks. Supports searching of text within images, audio, and video files. Requires the use of your Microsoft Account. So if you use your Gmail login as your primary login then this could be a problem. 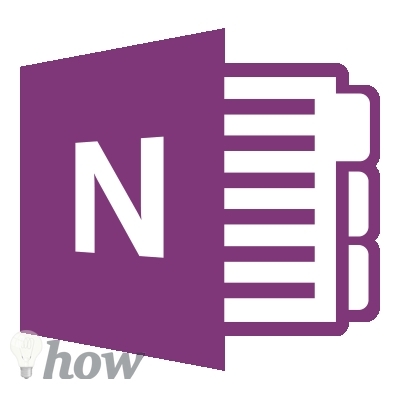 Organizing of Notebooks requires you to set it all up in OneDrive. A separate app and a new tab in your browser. Feels a little clunky when using it. Organizing Notes is handled by Labels and Google Drive folders. Text editor is OK as long as you want basic notes. But it does support rich text. As you start looking for alternatives to a tool that you like, you inevitably start to think about what you want from the tool. In an ideal world, how would you structure your system? The alternative you select or deciding to going with the paid version of Evernote, will all come down to how you like to work and what you would like your system to help you accomplish. Do me a favor and let me know in the comments below. 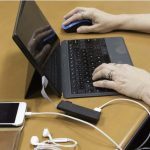 Are you gonna stick with Evernote and upgrade? Or, are you transitioning to a new free or cheaper alternative? I’m curious to hear how you solve this problem.